Table decor is all about mixing and matching to create a unique look for you. 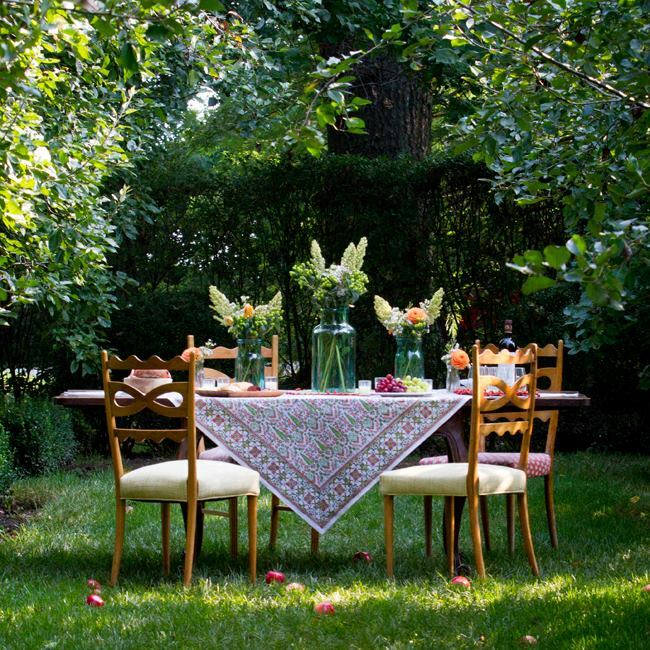 – Pomegranate Inc.
Janet Brown Interiors will host its Annual Linens Sale February 4th through March 4th. We invite you to take advantage of storewide savings and add some color to your home. 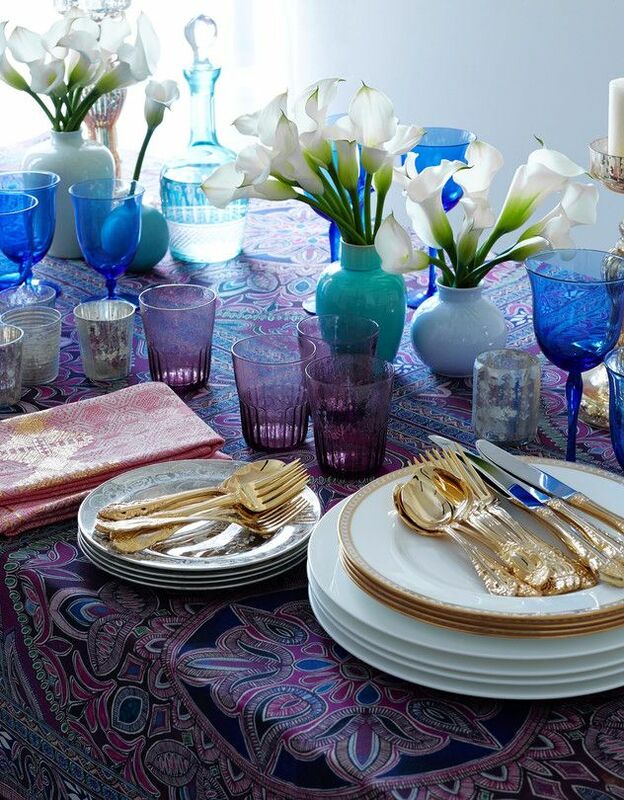 When setting your table, draw inspiration from hues in the room. 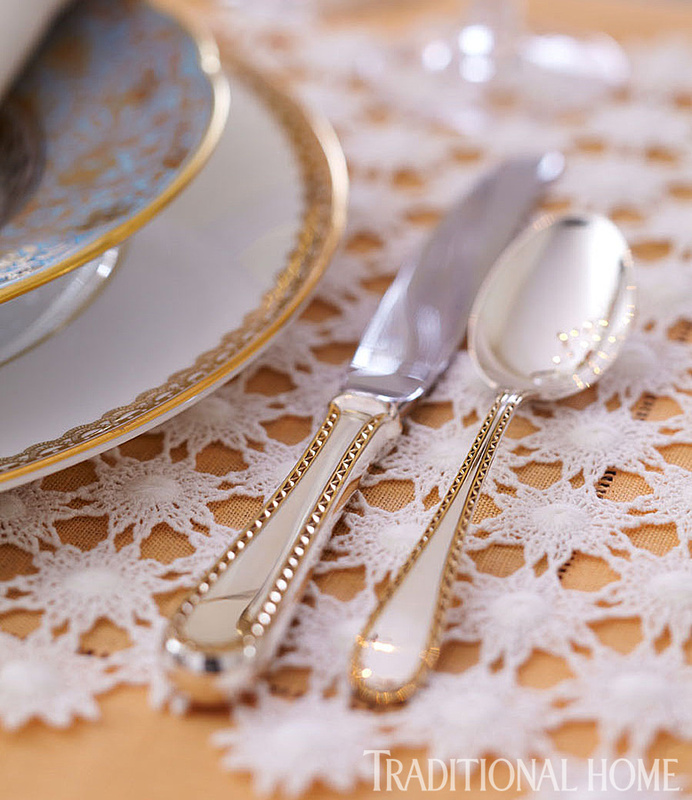 Pick a color from a dinner plate or a painting on the wall and use a similar shade napkin or tablecloth. 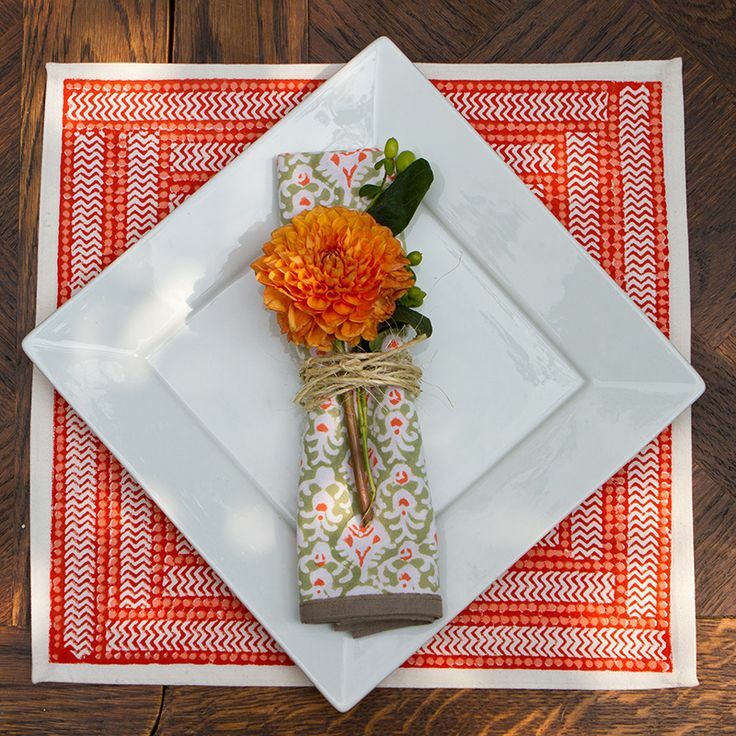 Mix and match napkins, placemats and tablecloths to create a layered look. Napkin rings serve as jewelry and can tie a look together – literally. Take a peek . 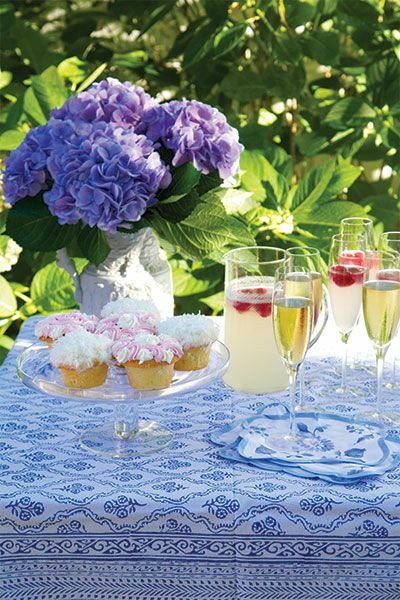 . .
“On the back terrace the grown-ups enjoy prosecco, and the girls, raspberry lemonade. Everyone of course, enjoys the cupcakes. Tablecloth by John Robshaw.” Design by Chesie Breen. Photo by Brooke Slezak. “Setting Tradition” by Karen Carroll. Flower Magazine (May – June 2014). 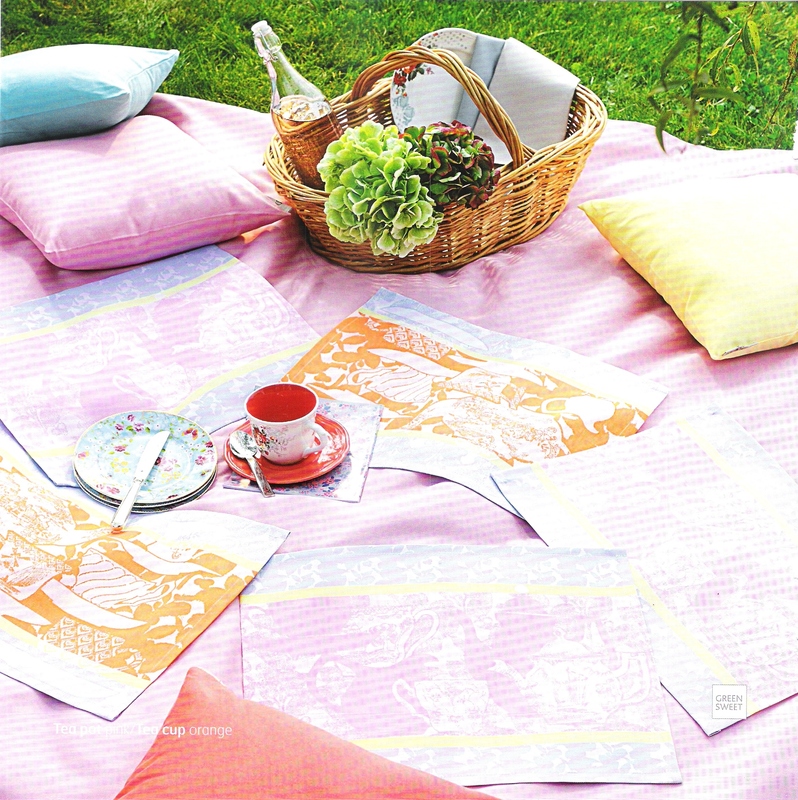 Tea Pot Pink and Tea Cup Orange Linens from Garnier-Thiebaut’s Spring 2015 Collection. 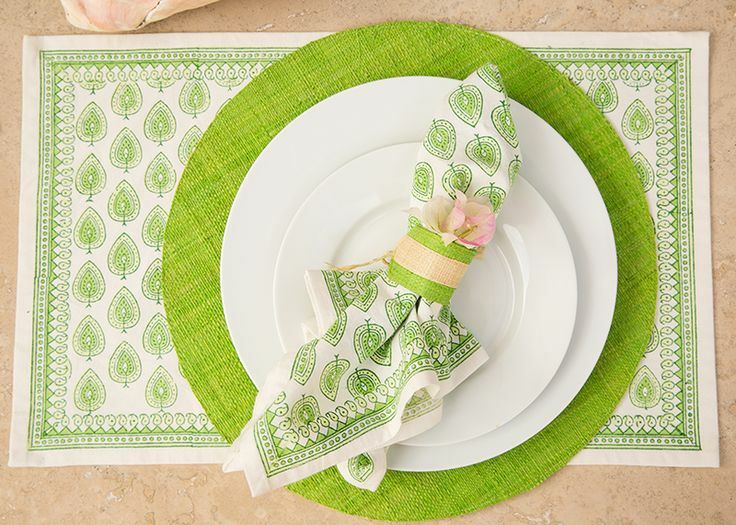 Ribambelle Citronnade Linens from Garnier-Thiebaut’s Spring 2015 Collection. “Curtains do more than simply block out the sun and provide insulation. 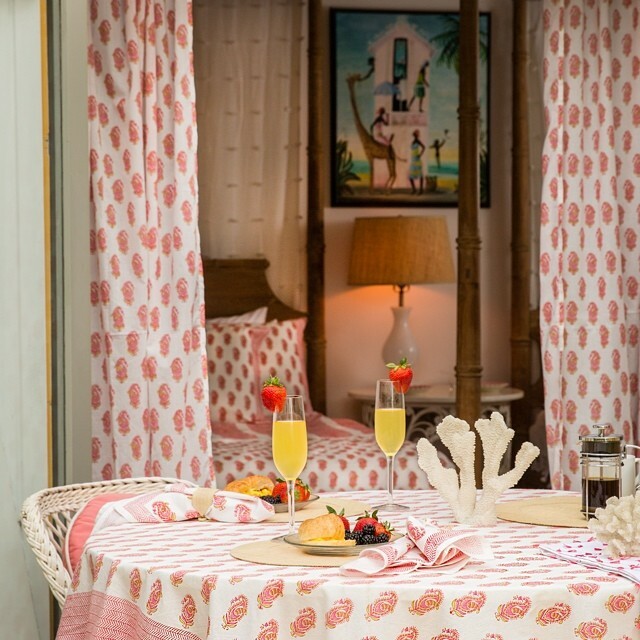 They can completely enhance the personality of your home!” Eliza Pink Tie Top Curtains, Eliza Pink Tablecloth, and Eliza Pink Napkins by Pomegranate Inc. Photo via Facebook. 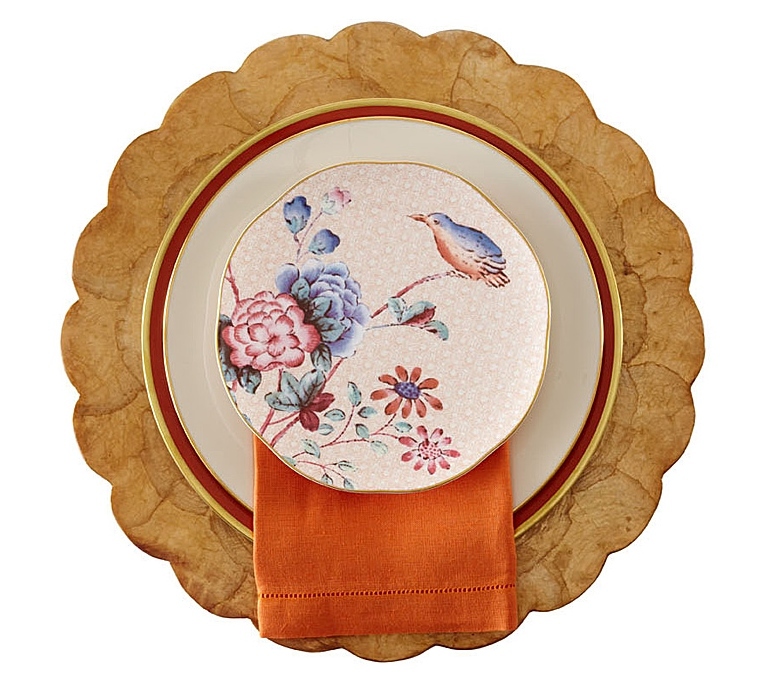 Aviary Coral Tablecloth by Pomegranate Inc. Photo via Facebook. 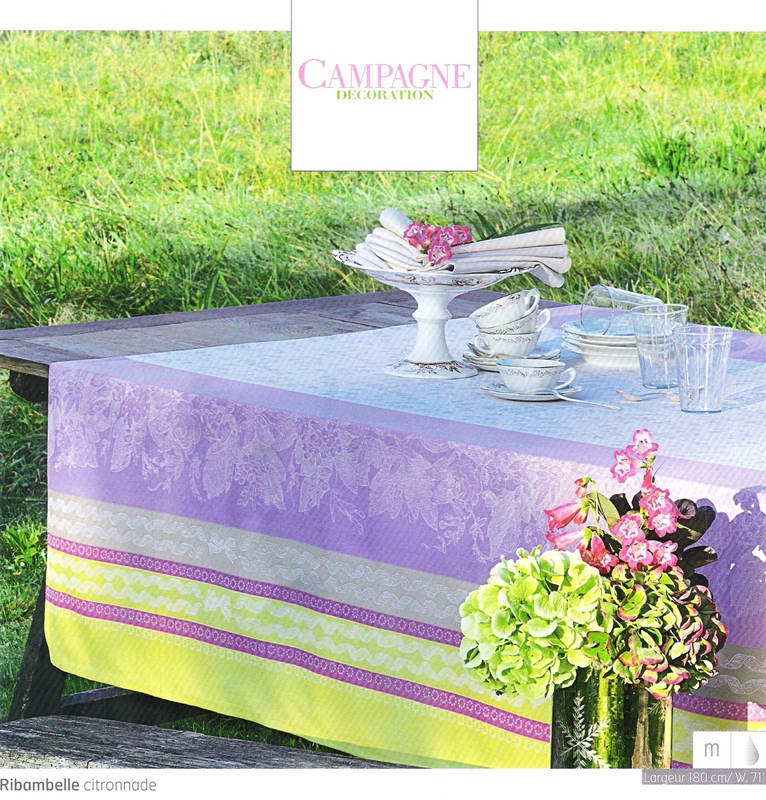 “Petra, Eliza, Abaco… Three Patterns/Five Colors/Six Tabletop Options!” Linens by Pomegranate Inc. Photo via Facebook. 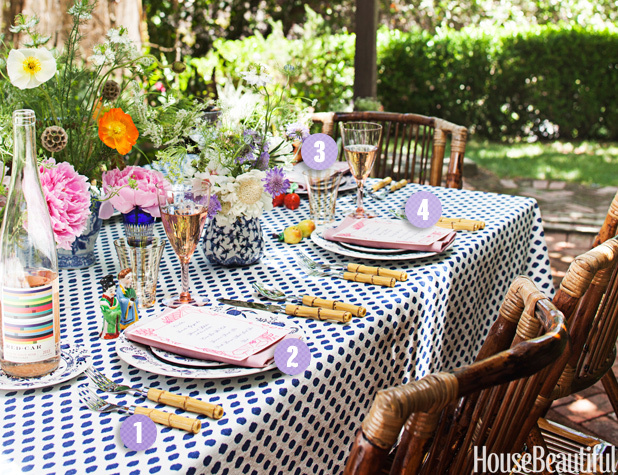 “4 Steps to a Perfectly-Decorated Outdoor Table” – 1. Splurge Invest in great-looking flatware you’ll use time and again, such as this Natural Bamboo five-piece set. by Juliska [available via Janet Brown Interiors]. 2. Add Some Solids. 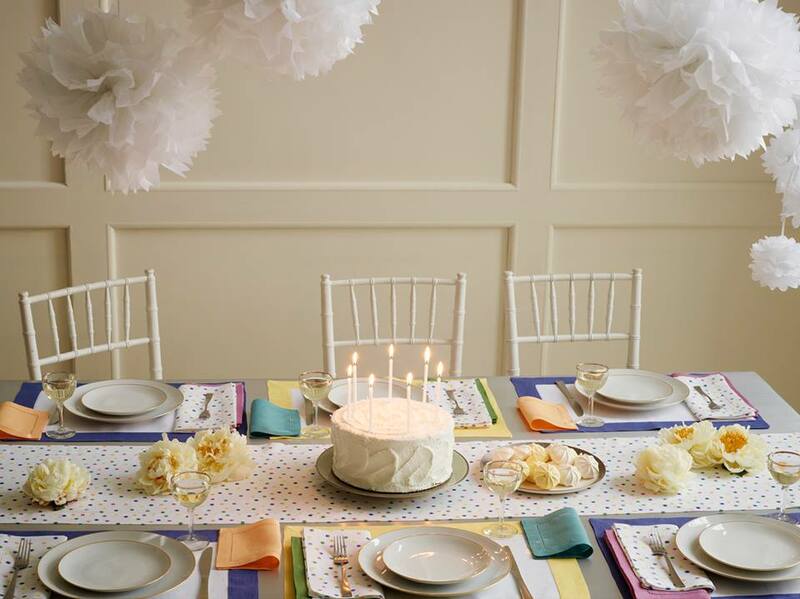 Solid-color napkins make the table’s patterns really pop! 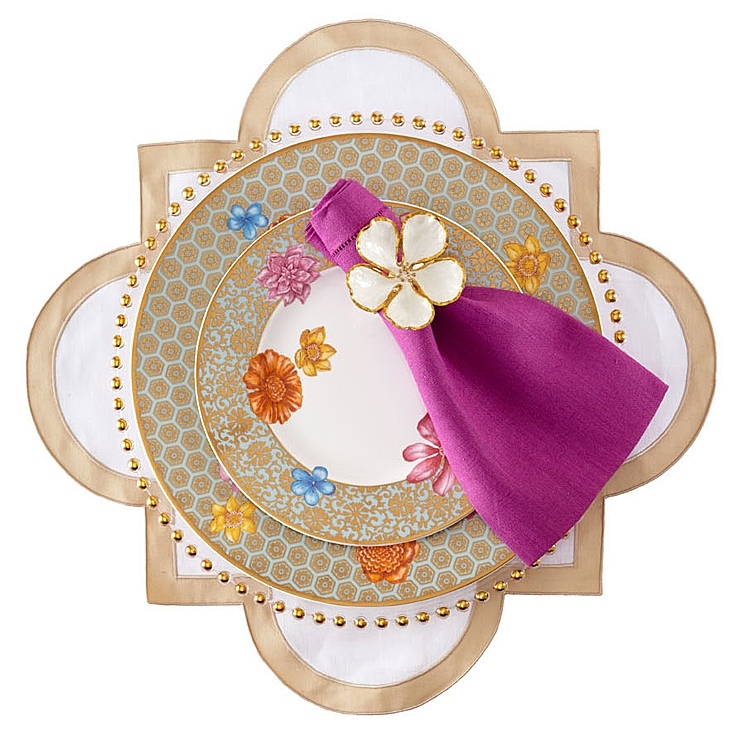 Festival Napkins in Petal by Sferra [available via Janet Brown Interiors]. 3. Experiment With Different Pieces. Vary shapes and mix new things with old to add visual interest and character. Vintage Glassware. 4. Pay Attention to Details. 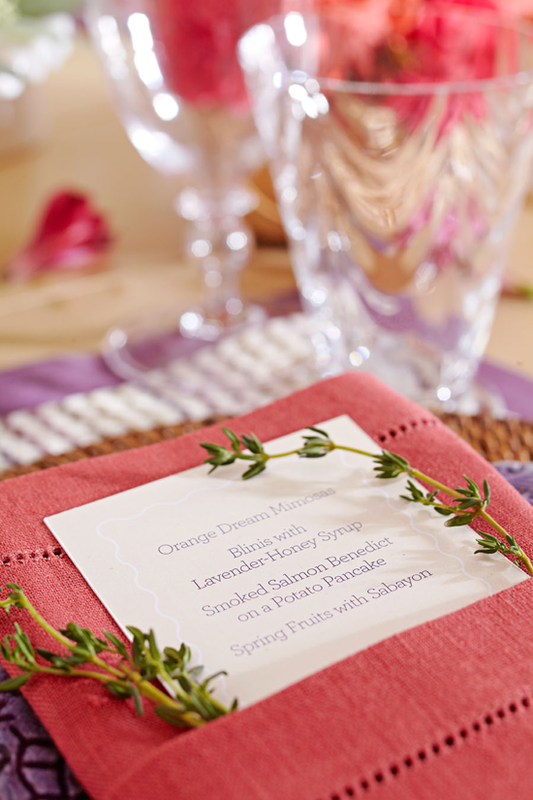 A pretty menu card is a finishing touch. Tablescape by Irene Chen. Photo: Thomas Kuoh. Written by Catherine Lee Davis. House Beautiful. 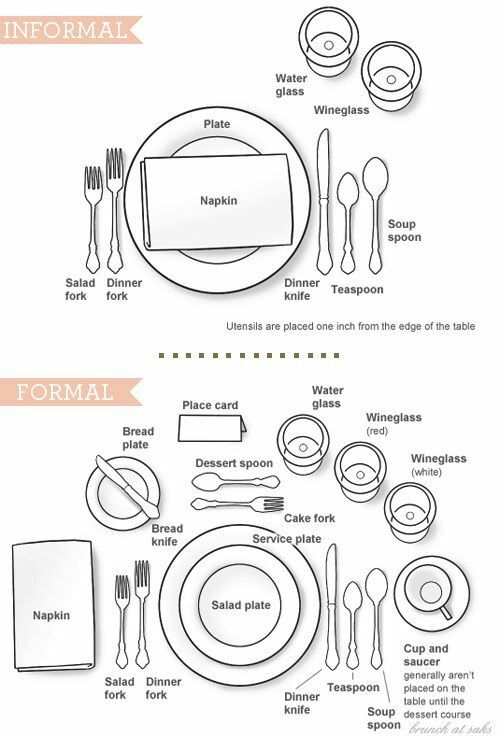 Table Settings Guide from alexanevents.com via VIETRI’s “Table Setting Guides” board on Pinterest. 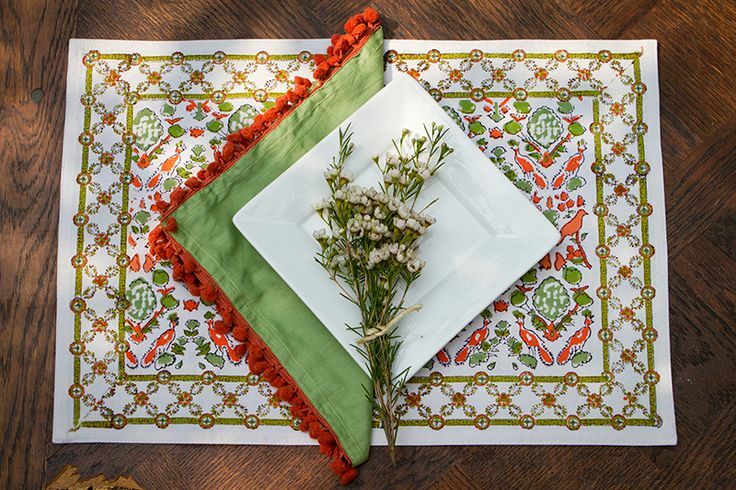 “The bright color of this linen place mat sets a fiery tone for the table. Festival mat in Tangerine by Sferra [available via Janet Brown Interiors].” Design by Charlotte Moss. Photo: Aimee Herring. 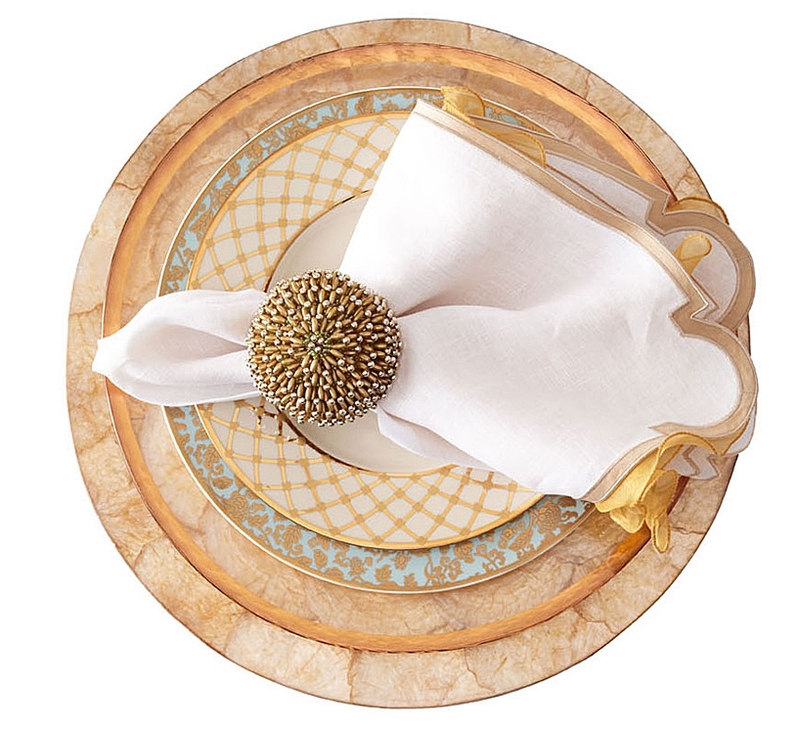 “Tips for Stunning Thanksgiving Table Settings” by Whitney Robinson. House Beautiful. 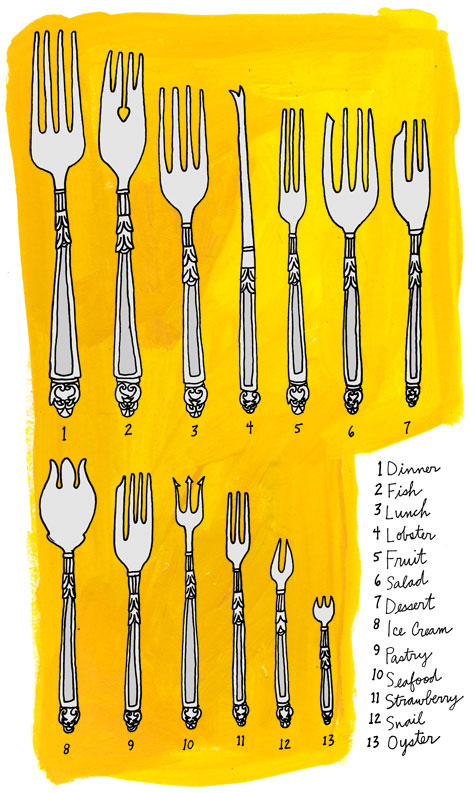 Illustration of various fork types by Julia Rothman. “Past and Present: History of the Fork – Collecting and Care” by Amy Azzarito. Design Sponge (August 2009). 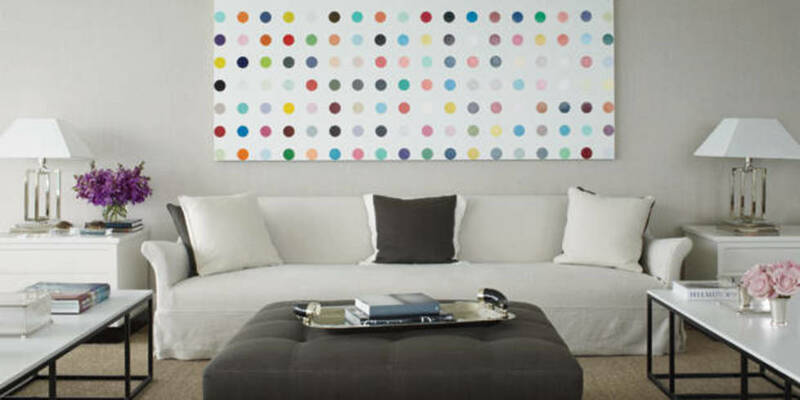 Art, Damien Hirst. Miami Beach condominium. Interior design by Luis Bustamante. Photography by Miguel Flores-Vianna. Written by Mario Lopez-Cordero. “Miami Modern” produced by Pilar Crespi. Veranda (November – December 2011). Colorful celebrations call for colorful candles. Make a wish with these . . . Available via Janet Brown Interiors. Sferra’s Festival linens come in 101 colors. Which one is your favorite? Photo via Sferra’s Facebook page. “Adding a whimsical touch to a springtime tablescape is as easy as scooping up store-bought Easter basket staples and making a thoughtful arrangement. 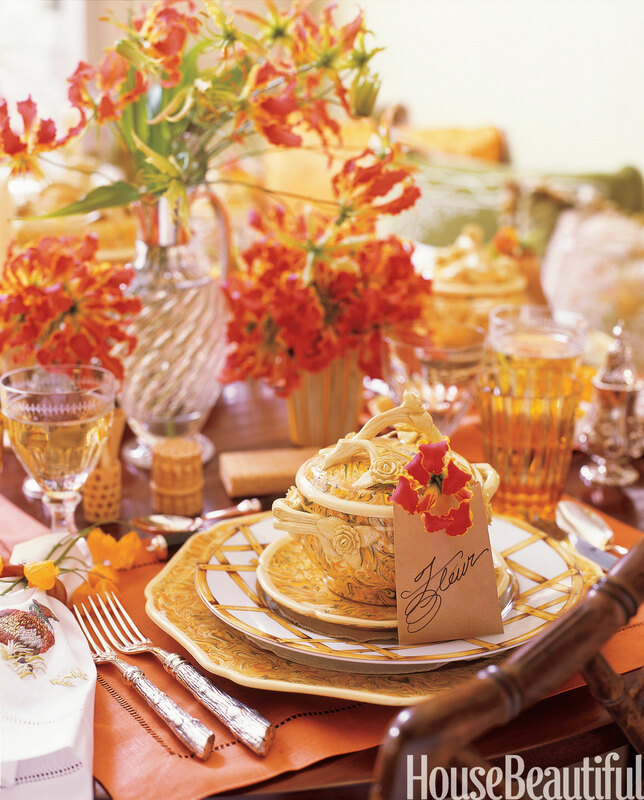 Handfuls of candy eggs and paper grass — placed just so — look like a bird’s nest when perched atop each guest’s plate. For an organic feel, we chose materials with natural tones, which will mesh seamlessly with linens in any color.” [Janet Brown Interiors sells robin’s eggs.] 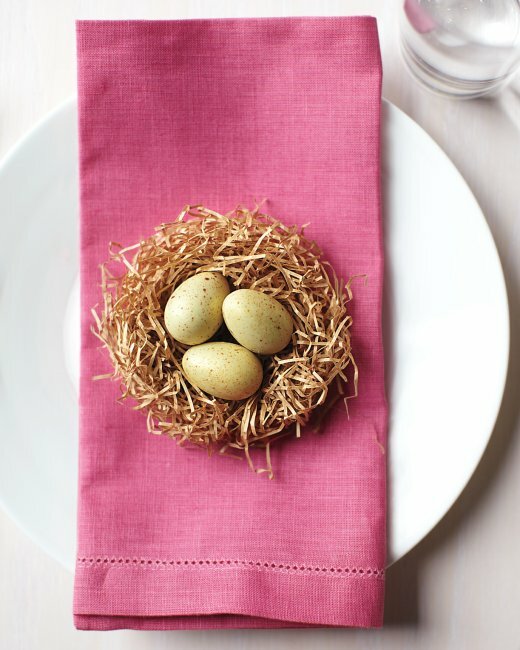 “Easter Nest Table Setting,” Martha Stewart. Janet Brown Interiors will host its Annual Linen Sale February 4th through March 4th. 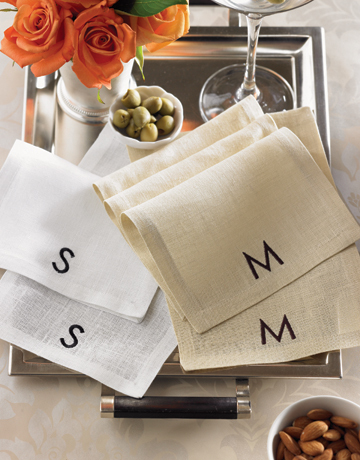 Our table linens from Pomegranate Inc. and John Robshaw are perfect for casual meals. 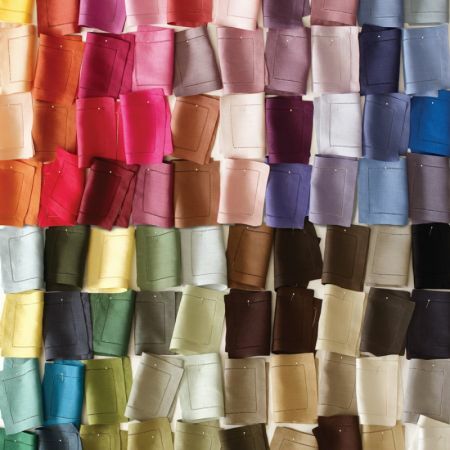 Matouk provides more formal offerings, and Sferra napkins come in a rainbow of shades. 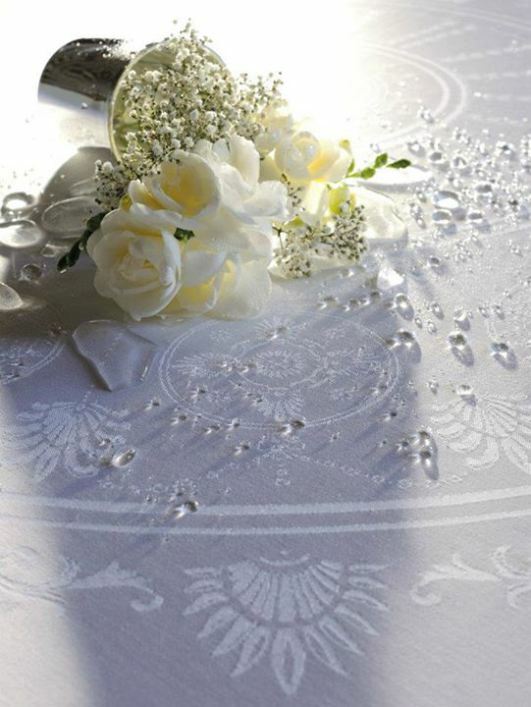 Garnier-Thiebaut offers tablecloths in custom sizes, and its stain-resistant products ensure that no tears are shed when life gets messy. Our storewide sale will include not only table linens but also bedding, blankets, duvet fillers, bed pillows, throws, shower curtains and towels from manufacturers including Pomegranate Inc., Sferra, Matouk, Lulu DK for Matouk, John Robshaw, Eastern Accents, Vietri, Abyss and Habidecor and Garnier-Thiebaut. Special orders will be 20% off. In-stock items will be 25 – 60% off. We look forward to assisting you during our sale!